The Florida native club hero Flo-rida does not waste his time. Four albums in four years is an incredible result for the present day’s music industry. When you develop a speed like that making the right and timely turn is essential and any musician’s way is full of unexpected turns. Yet Flo-rida has planned everything well. Radio station used to pick a couple of ready hits from each of his past works to play them to the limit, and the public was accustomed to anticipating something good on his following record. The only problem was that most listeners took Flo-rida for a faceless supplier of season hits and nothing more. As for his albums, they were not paid much attention or given high rates. And the reason is apart from those hits there was nothing else of particular interest – with all decent quality, they lacked originality. However, the fourth album marks a little progress. 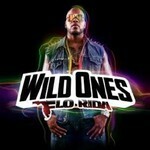 Despite a moderate duration of 35 minutes, Wild Ones is the undoubted highlight of Flo-rida’s discography. As before, Flo-rida wraps traditional rap into dance pop music arrangements to please each and every one. The difference between Wild Ones and its predecessors, though, is that this time the rapper is assisted by other authors and access to hits of the past. The new album’s tracks are full of flashes of tunes and rhythms of European dance school. In particular, arguably the best highlight of the record, Good Feeling, is built round the theme from Etta James’s 1962 song. In fact, what was done to the sample was adding thick and vibrant beats alongside rapping, turning a dance hit of the past into a favorite of modern clubs. Another big track, similar to this one, is Wild Ones to which a considerable contribution was made by Australian Sia. Let I t Roll borrowed a sample from Come On by bluesman Eral King. Flo-rida did not take the risky path, but walked a beaten track, this song was remade by countless performers including even Jimi Hendrix. The album also features the voice of Jenifer Lopes who gave her singing to Sweet Spot. The making of Wild Ones involved producers from all over the world, from Sweden to Australia, who decorated the record with a really sweet sound aimed specifically at dance floors. In the meantime, Flo-rida avoided the unwritten rule followed by most rappers to at least try to put some meaning into their lyrics. When it comes to this album, the texts are mostly composed of English clichйs understood even by those having difficulties with the language. In general, Flo-rida gives a serious though to having his work internationally recognized, and not for the wrong reason. The audience must fall for the artist’s straightforward approach as he does not pretend to be a right defender, or a revolutionist, or evangelist. The offer is a solid, level album that makes you want to move. This is a very consistent record without a single extra track and it is made to please a very big audience. As for the artist, this release is a huge step forward, achieving a new status and gaining confidence that he is doing the right thing.